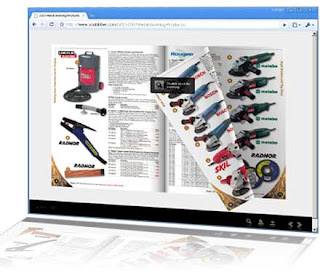 Youblisher is a new web service that offers a web place to store and read your PDF file. This is not a web storage, it also offers a web based PDF reader, so people can read it without a PDF application. You have two ways to store PDF files, one is upload file from your computer. Another one is you can link a PDF file from a web address. After that, you can read or copy, paste it onto your website or blog. Of course, you have to register an account first, it is a free service.